So you had done a freelance job for your clients and want to send invoice to them? This is whether you don’t have skills to write your own professional invoice or don’t have enough time to make an invoice that looks completely perfect in designing and other aspects. Don’t worry, you can do it using the free online tools which let you make your own invoices and then either download to your computer or send it directly through their server. But along with invoicing tools, this post features other related tools that are online receipt maker. This is whether you had just lost your receipt or just wanna make receipt due to any other reason. Here in this post you will be able to create your own custom receipts of many types by picking up a tool form the list and then proceeding ad discussed. 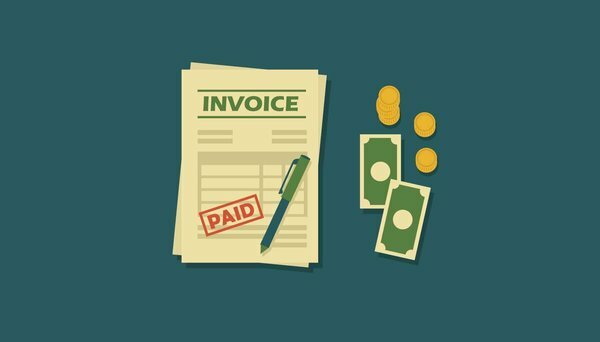 With this in mind that creating your own invoice may become a difficult task for you, I come up with few web-apps that enable you to generate your own invoice, print it or download it to your computer. Invoiceto provides a simple one-page but a good pre-made invoice template in which you can change the details with your own desired details and information. One back-word about in this tool is that it comes with the lack of your logo which gives a professional look to your invoices. Once you had done all the editing in the template, you can the click on the “Get PDF” button at he left side to download your own invoice as a pdf file. With Invoice Home you can easily create and download professional PDF invoices in seconds with the invoice template gallery. You can also send invoices via email and which will allow your customer/clients to to pay invoices by card. Invoice Home is an intuitive invoice generator, allowing you to download & send invoices using tons of templates. Onlineinvoices lets you create your own invoice of many types with different styles such as simple invoice, tax invoice or business invoice so what you need to do is to select an appropriate template first and then go through the editing. In addition to the details, this let you set a currency, add & calculate tax and discounts etc. Invoiceape is yet another great, free and professional invoice generator. With this tool you can generate invoice with different styles, font sizes and themes. You can easily pick up a template from the pre-made templates available and then select a theme and are followed by logo and invoice details. Now, if you had got into this page for getting info about online tools for generating your own custom receipts then here you look at the below tools. If you are looking for a simple but custom receipt then you can look at customreceipt because it uses a simple interface consists of only few blank fields. All you need to do is to fill out he blank fields with appropriate details & values and then click on “Make the Receipt” which will take you to preview of the receipt you generated. With fakereceipt, which promote itself as free online receipt maker, you can make a sales receipt within an advanced but easy to use interface. All you need to do is to fill in the blank fields by appropriate details that are Seller information and Purchases details. Once you had done that, you have to choose a currency symbol to use and a satisfactory background colour for the receipt. After that all, your sales receipt is ready to download, so click on “create/update receipt” button. Online invoice generators become in handy to make an invoice easily and quickly while web-based receipt maker helps people in case you just lost your receipts and want to make a fake one. I hope the above few tools will help you in a situation stated above. Previous: Are Smartphones and Tablets Going to Replace Desktops and Laptops?